Our films - promo material of the K2 studio films in English. 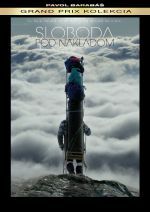 Nordic Adventure Film Festival was held for the first time back in 1996 by a group of dedicated climbers and adventure filmmakers. The festival is the oldest and most dedicated adventure film festival in Scandinavia. This year the festival took place 20.-25.11.2018 in Denmark. The Special Mention Prize won the documentary Addicted to Altitude. Freedom under Load was awarded by the prize - World Mountain Prize at the Festival dei Festival in Lugano, Swiss. This festival takes place in September and shows the best mountain films from all over the wolrd awarded with a Grand Prize. Freedom under Load was choosen as the best of them.